Casulo Cultura works in the field of cultural projects and events, from conception to implementation, also involving production, artistic direction and project management. With daring and distinguished vision in contemporary cultural production, Casulo focuses on conceptual actions to encourage the cultural scenario and to promote exchange of information, prioritizing experience, audience formation and a sustainable arts circuit. Danusa Carvalho is the founder of Casulo Cultura. An experienced producer for more than 20 years, Danusa has acted in different fields as project developer. She specialized in Executive Production, Marketing, Artists Management, Event and Project Coordination and worked with big names in the Brazilian cultural industry such as Farofa Carioca, Seu Jorge, Cássia Eller and Kátia Lund. In Rio, where she lived and worked in the last decades, she took part in many festivals, produced videos, toured with artists in and outside Brazil and coordinated big companies events. In Belo Horizonte since 2006, she develops and does projects for Stereoteca, Claro Minas Instrumental, Do Morro ao Asfalto (From the Hills to the Asphalt), Mapping music in Minas, Music Practice Seminar, Coletânea Brasileiríssima (Brazilian Hits) and Festival de Cinema Imagens da Cultura Popular (Popular Culture Images Film Festival). She has produced Aline Calixto and rapper Renegado’s solo career as well as bringing shows as Marcelo D2, Nação Zumbi, Seu Jorge, Mombojó, Mundo Livre and Orquestra Manguefônica, among others. Casulo focuses on conceptual actions, developing concise and integration projects, bringing together and encouraging exchange among artists, audience and sponsors. 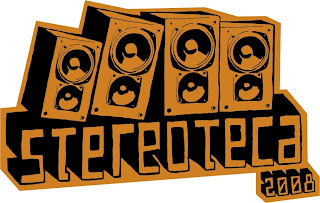 The different editions of Stereoteca have enabled “unprecedented gatherings, unusual fusions and instant partnerships”. Gathering artists of different styles and generations from Minas State at the Public Library Luiz de Bessa, in Belo Horizonte, Stereoteca’s programs have extended for several months. The main goal is to broaden Minas music’s reach, contributing to build up the cultural sector in Minas and forming audience. The project is present on the internet as well, with news and downloads of artists. 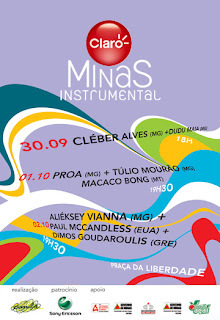 Minas Instrumental first edition, was held during five months in 2007. Nineteen artists of different instrumental music style performed outdoors in Belo Horizonte for free. Held on Tuesdays, a different day from the ordinary ones offered in the city’s cultural agenda, Claro Minas Instrumental aims to broaden instrumental music’s reach and experimenting with language. The project has a very clear proposal: encourage exchange between the slums and the city, take samba back to the hills (morro). Tearing down social and ethnic barriers and bringing people together for the love of music, From the Hills to the Asphalt gathered 20 samba artists from Minas in three huge crowds in Belo Horizonte. The shows were held in public spaces, photographic exhibitions, documentary exhibitions and craft markets, complementing the three-day event from September to November 2007, and with the follow up in 2008 second semester. Mapping the production music chain in the State of Minas Gerais will put together information on artists, producers and other similar professions that constitute the musical culture in the state, making possible for many people to have an important source of information on production in Minas. Many professionals from Sebrae (Brazilian Micro and Small Enterprises Bureau) have participated in the research process while João Pinheiro Foundation has been an important partner. In partnership with Favela É Isso Aí NGO, the festival has as executive producer and promoter Casulo Culture. This festival aims to support and spread audiovisual production that looks into urban popular culture as its main issue, highlighting villages and slums communities in Belo Horizonte, and the suburbs in Minas countryside. It also aims to create discussion on cultural diversity in the suburbs of Minas and Brazil, promoting exchange with other ongoing similar initiatives in the rest of the country. Enabling free access to culture and stimulating discussions on art issues is crucial for Casulo Culture. Developed by Casulo, together with Espaço Cubo (Cubo Space Cultural Center), in Cuiabá, Stereocubo brought together journalists, producers, musicians, public and private initiative representatives and general audience to talk about alternatives on sustainable developing of the cultural sector. Involving well-known professionals in the cultural area, the debates promoted interesting measures and actions in Belo Horizonte, stimulating people to re-think their relationship with the cultural environment. Debates promoted by Casulo and its partner Overmundo site, made all participants, professionals from different fields, talk about culture, collaborative production and cultural journalism. Approaching culture as a means of potential transformation of society, Stereomundo had among its participants journalists, musicians and NGOs members. All the debates had free entrance, allowing everybody to exchange knowledge and important information. Something was clear: culture is not only about entertainment; it has an important social value. Important musicians from Brazil and other parts of the world are brought together to talk about the music market, independent music and acting strategies with the audience. With an innovative format, the seminar promotes interaction at the end of the debates (about Executive Production, Artistic Production, Communication and Distribution and Business), when participants can enter Stereoteca site and select a guest who will offer online consulting to artists and producers from Minas for three months. At the end, participants should present the outcome of their effort, created or modified with the consultant’s orientation. From samba to hip-hop, to contemporary popular music, Casulo has a direct relationship with artists from Minas Gerais and Rio de Janeiro, helping them to build up their careers and looking for opportunities to show their work. This young artist stands out as one of the best breakthrough samba singers in Minas music scenario. Acclaimed by important journalists and musicians, she has performed in festivals, bringing a unique and different approach to samba, mixing contemporary references. She has won first place in “Novos Bambas do Velho Samba Show” (“New Talents of the Old Samba Show”), held in Rio de Janeiro at the traditional bar Carioca da Gema. She is considered to be one of the best Brazilian Popular Music bets in 2008. Interpreter and composer, Aline searches samba rarities thoroughly in Minas countryside, looking for unknown composers who haven’t had the opportunity to record their work. Her first CD will be released on the first semester of 2009. Although identifying more with rap, the music of Flávio Lorenço de Abreu, better known as Renegado (Renegade), has wide range and Latin and Brazilian music (samba, maracatú and bossa nova) as its source of inspiration. With highly political and social subjects, his lyrics are acclaimed by everybody in the state of Minas Gerais, and are on his first album “Do Oiapoque a Nova York” (From Oiapoque to New York), to be released August 2008. His background is surrounded by his constant social work in the community of Alto Vera Cruz, in Belo Horizonte, where he represents “Negros da Unidade Consciente (NUC)” (Black on the Conscious Unity group), helping young people in the poor communities to be more conscious. 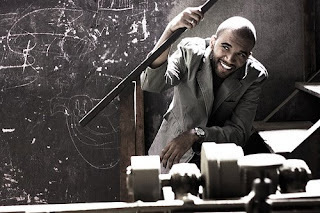 Majored in Social Education, Renegado and his band have performed in important Brazilian festivals (Hutúz, in Rio de Janeiro), and in Cuba and Venezuela. Túlio's music is based on a consistent melodic construction. The exercise and the experience as awardee composer of soundtracks allows him to create themes that go far beyond mere excuses for improvisation. Túlio searches his personal and original identity in the brazilian instrumental music, combining elements from classic music to the religious chants of the traditional music of Minas Gerais. The pianist exercises a more Brazilian and rhythmic profile through a stimulating dynamic between the left and right hand, resulting in a so baptized “jazz mineiro”. Born in Divinópolis, Minas Gerais, Túlio Mourão was a protagonist in many important movements in the Brazilian Popular Music. He integrated the band Mutantes in its progressive rock era, and after that he played with such artists as Milton Nascimento, Maria Bethânia, Chico Buarque, Caetano Veloso, Ney Matogrosso, among others. He has written songs with Milton Nascimento, Adélia Prado, Abel Silva, Tavinho Moura, Nelson Motta, Fernando Brant and Ronaldo Bastos. Milton Nascimento, Maria Bethânia, Zimbo Trio, Nara Leao, Ney Matogrosso, Eugênia de Melo e Castro have recorded Tulio's songs. The American saxofonista Bob Berg recorded Tulio's song "A Primeira Estrela". The single was produced by Chic Corea and had the participation of distinguished musicians such as Steve Gad, Victor Bailey, and Gil Goldstein. 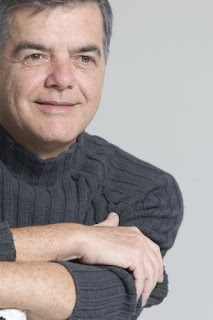 Túlio Mourão is one of the curators of the Ouro Preto International Festival of Jazz - Tudo é Jazz (Everything Is Jazz), which takes place annually (currently in its 7th edition) in the city of Ouro Preto, Minas Gerais. In its 2007's edition, Túlio worked as an assistant regent with Maria Schneider, helping in adapting her concert and selecting 25 musicians from Minas, Rio and São Paulo to play under regency of Maria Schneider. Túlio is the artistic director and presents the NOTURNO program, focused on instrumental music, broadcasted weekly by Rede Minas de Televisão. 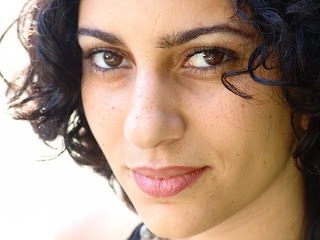 Tattá Spalla is a singer, songwriter, producer and a guitar player. He comes from the small Brazilian town, Nanuque (MG). He is well known within the Brazilian music community and has worked with outstanding musicians such as : Toninho Horta, Cassia Eller, Uakti, Seu Jorge, Paula Lima, Gabriel Moura, Paulo Ricardo, Marcio Borges and many more. He has also worked in music production, producing the work of Marina Machado, Julia Ribas, Deborah Rosa, Nataraj, Armazen. Most recently he co-produced Toninho Horta..s lastted album, certanly a great cd. Tatta is currently working on his Bossa Nova albun , which has the special participation of others great musicians like Toninho Horta, Marina Machado, Sidney Santos, Adriano Trindade, Pretinho da Serrinha.